Peggy Jane Harbaugh, 82, of Cascade, MD, passed away Thursday, August 30, 2018 at the University of Maryland Medical Center in Baltimore, MD. Born Tuesday, May 19, 1936 in Cavetown, MD, she was the daughter of the late Gilbert Smith and Carmen Irene (Brown) Smith. She attended Smithsburg High School. She was a member of Christ Reformed United Church of Christ, Cavetown, MD. She worked through the years as a lunch aid at Cascade Elementary School and a kitchen manager at Camp WOHELO of Rouzerville. Peggy is survived by her husband of 64 years, Gary Lee Harbaugh, whom she married October 31, 1953, daughters, Karen Lantz and Donna Pryor and husband Fred, son, David Harbaugh, grandchildren, Teresa Rowland and husband Erik, Clinton Lantz and wife Heather, Brandon Harbaugh and fiancé Anna Wells and Steven Garde and companion Jess Martz, great-grandchildren, Rylee Harbaugh, Adalyn Rowland, Caroline Rowland, Arianna Lantz, Zayden Darlington, Caleb Chand and Canaan Chand, sisters, Patsy Mickley and Roberta Minnich and many nieces and nephews. She was preceded in death by one son, Gary Lee Harbaugh, Jr. and two sisters, Jacqueline Kendall and Doris Windsor. There will be no viewing. Services will be held Tuesday, September 4, 2018 at 2:30pm at J.L. Davis Funeral Home, Smithsburg, MD, with Rev. Kenneth D. Fuller officiating. Burial will be in Bethel Cemetery Cascade, MD. The family will receive friends Monday evening from 6-8pm at the funeral home. 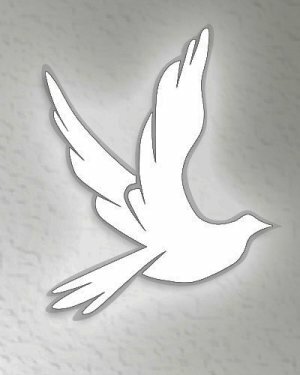 In lieu of flowers, memorial donations may be made in memory of Peggy Jane Harbaugh to Christ Reformed United Church of Christ, P.O. Box 100 Cavetown, MD 21720. Online condolences may be offered at, www.jldavisfh.com.